These true stories are from those who have attended our breathwork seminars in the last few years (with the exception of “Young Indian Brave” a therapy session I did with a young man 25 years ago.) They will give you a deeper understanding of the potential of Integral Breathwork—the hows and whys of combining good physiological breathing with breathwork, and the benefits that can result. Breakthroughs come in many shapes and sizes and we offer people several ways to have these—if and when they want them. The stories that follow describe some vivid breakthroughs. The stories chronicled here are people’s peak experiences. These may have come right away or may have taken several sessions to build up to. Not all breakthroughs are dramatic. When people come out of breathwork simply feeling refreshed and content, they’ve had a good session and learned how to improve their life. Not all breakthroughs are pleasant. Some sessions can be messy. People can become very cold, or hot and sweaty, as their nervous system adjusts itself. People can weep or laugh or do both. They may glimpse heaven or look into what has been for them a personal hell. In the next section, you’ll read discussions on how to work with people who come to breathwork with a more than ordinary share of burdens, or with blocked energy. Some may have uncomfortable reactions or difficulty integrating their experiences. Great care is taken to bring them back to their center before they leave our six-hour seminar, and follow-up is done when needed. I am grateful to include in this section perspectives from some of the world’s foremost breathworkers. You will read about physical and emotional healings, spontaneous regressions, extrasensory encounters, and spiritual experiences, but breathwork may involve all or none of these for you. Whatever happens will depend on what you and your body are ready for on that day. And if some discomfort comes up, great victories can still be gained from it and profound lessons learned. As you’ll see from our promotional material in the Appendix, the Integral Breathwork seminars are presented from a secular, better-breathing-for-health perspective. This allows people from all walks of life, and from all religious persuasions or none, to feel comfortable coming to this work. Those who recount spiritual experiences during breathwork are those who bring to this work their own understanding of spiritual dimensions. Integral Breathwork starts with correcting the breathing pattern. It is used for self-clearing, oxygenating, detoxing, and energizing. It can be approached purely physiologically; and significant breakthroughs can and do happen just there. Or, people may add their intent to invite spirit into the process in whatever way works for them. The energy that flows in with the breath—and with the light, the sound, and the water—will follow their thoughts, enhance their aspirations, and strengthen their beliefs. When spirit heals, she is considerate. She doesn’t barge in. She waits to be called, she comes in increments, and she takes on the form each person is most comfortable with. No Limits to What I Feel I Can Do Now! I want to say a huge thanks to you all for the preparation and work you put in for an extraordinary day yesterday. [Breathwork Seminar in Montreal, 2007]. For me, I can only say, BREAKTHROUGH, BREAKTHROUGH and MORE BREAKTHROUGHS! As draining as my experience felt yesterday, the message I got is RELEASE ! I was surrounded by wonderful people and felt so safe even at times where the experience I was feeling was much fear. Every facilitator for me shared a soothing and calming energy which brought me to my BREAKTHROUGH. Last night when I got home, I was exhausted. I ate just a little and then had a nice, candlelit bath. Layed in bed, read a little, and then retreated my day of so much work with a comedy movie. By 9:30 pm, I was asleep, slept very well. Woke up this morning with a little bit of anxiety, but I allowed it to just flow. There is still much processing going on for me, and I decided to just let it. Then this magnificent energy happened. The person I was talking about yesterday at the end of the day’s discussion was my husband. He is the person I’ve allowed to create all of my hurt, and pain, and anger I was describing. I shared with the group how I went through the pain and then let it go, telling myself that I will no longer accept to live in the fear of his bad behavior towards me, etc. Well, this morning, when a regular morning with him is always stressful with his anger and aggression, SOMETHING ENTIRELY DIFFERENT was going on in our interaction today. I felt that he knew something was different with me this morning, I could see it in his eyes. He knew I wasn’t afraid of him anymore because I was able to look him straight in his eyes as he spoke to me. In turn, because he felt I was no longer afraid of him, he could not use his controlling ways on me. Which left him disoriented. And he had no choice but to surrender and then he was very calm and very respectful towards me. Without even telling him anything about my experience yesterday, my energy expressed it all to him. He could feel that the power and control he had on me before and how he could belittle me and scare me is not going to work anymore. He felt my strong energy this morning, I know he did. His attitude sent me a thousand messages. I feel WONDERFUL about this. I feel like I just got out of jail and am able to live my freedom again. I feel like I am able to be me again. Well thanks for taking the time in reading this, I just wanted you to know how much you have helped me in my transformation to my Authentic Self. My ultimate goal in my life right now… THANKS SO MUCH ! I have been living in fear for so long, I have to create a new life now for me. There are no limits to what I feel I can do now with so much of my fear lifted off. I have been getting so many messages today so far that I need to write them down. It is a little overwhelming, but on the other side of it, it is so amazing! This is a new beginning for me! My husband David and I attended your Breathwork seminar in April in Medford, New Jersey. I wrote about the experience the next day and thought you might enjoy reading it. Yesterday was a chance to rub shoulders and talk to people so much more like us than the previous collection of folks we have shared our incarnation with, other than our Friday night collection of A Course In Miracles folk. They too are more “up our alley,” which is a straight-shot focus on things spiritual, rather than the milieu of emotions wrangled from a night of “spirits” with a small ‘s’—wine, beer, whisky, vodka and all things equally vexing to clarity. After a few hours of lectures on the physiology of breathing and some evaluations to determine our own breathing efficiency (or lack of it) we settled down to the work at hand. Led by a CD with breathing done by a coach, we all proceeded for follow the breathing example for twenty minutes. We were on our backs, eyes closed, blankets upon us. I thought I would fall asleep when I found we were going to lay down (I looked forward to a nap) but it’s called breathwork for a reason—it’s work! As I lay on my back with my eyes closed it reminded my of the corpse pose that ends my yoga sessions. Thinking about corpse made me think about dying, which made me think about childbirth, which made me feel like I was being birthed, which made me realize I have been, I AM born, and born again, and that I am every bit as eternally alive now as I will be when I reach the ‘great beyond’ – and I felt the same could be said of everyone in the room with me, which made me love them all so fiercely with a combination of enlightenment an “doneness.” I realized that THIS, right here and right now, this eternal moment, is the heaven we are all taught to wait for, that we are told is far away and will be ours only if we jump through very specific hoops. Everyone in the room, I was no longer afraid of crying in front of. I no longer even felt separated from them—all in the first twenty minutes! Almost as soon as my epiphany peaked, the breathing on the CD gave way to music that sounded like a heavenly celebration, the universe joining my teen brain in a chorus that invited me to step outside of myself and join the eternal one—hell, yes! The next forty minutes was an opportunity to recover from the experience, the time spent equally between laughing and crying as the phenomenal simplicity of it all split my atoms apart into a light show, a sound show, a chance to float and dance, to swing and bog and weave and sail on an ocean of understanding that does not depend on my outer surrounding for existence, but has been waiting to manifest—waiting for me to cross the divide no larger than the atoms in which I exist. They have collected and congealed into a mass everyone calls Karen. But there is much more–and much less—to all of this, which was what I understood in one of those deep understandings, which will not disappear with time, but only grow stronger and deeper, all the while quiet …. silent and deep. My name is Dustin Foxtin Fox and I am an Acoustical Massage Therapist. My first exposure to breathwork was during a massage I was giving to Denis Ouellette. He was breathing differently than anyone I had ever massaged before. His inhales were deep, and his exhales were really full and completely emptied his lungs. I had never studied breathing techniques but was fascinated by this self-cleansing approach to breathing. I signed up to attend his next breathwork seminar. I noticed that several essential health issues were being addressed. As a therapist, I was fascinated by the facts presented as to how we actually breathe, compared to how we could breathe to facilitate better health and well-being. During the next few months, I attended four breathwork seminars and felt better after each one. But there were deeper issues that I needed to address that had settled into my very soul. It was at my fifth seminar that I felt this would be the day to identify and release whatever it was that was holding me in such turmoil. Following the instructions and breath measurement exercises, we partnered with someone we were naturally drawn too. In an atmosphere of safety and honesty, we shared with each other the issues that we wished to address during our breathwork session. I realized it was time to go after my remaining Post-Traumatic Stress from the Vietnam War, over 35 five years ago. These “cellular memories” were still holding me in a depressed state and draining me of my health and spiritual contentment. They needed to be released. As we began to breathe, I felt stiffness set in throughout my body. The cramping in my hands began to get fairly intense. Denis came over and assisted me through the process. As I allowed myself to relax and breathe through the memories of pain and trauma, they left me. It took one more session for this to be complete. At one point during that sixth one, Denis said he was concerned about me because I looked as gray as a ghost. I think death itself was leaving me! I now feel completely content and cleansed of that trauma and depression. 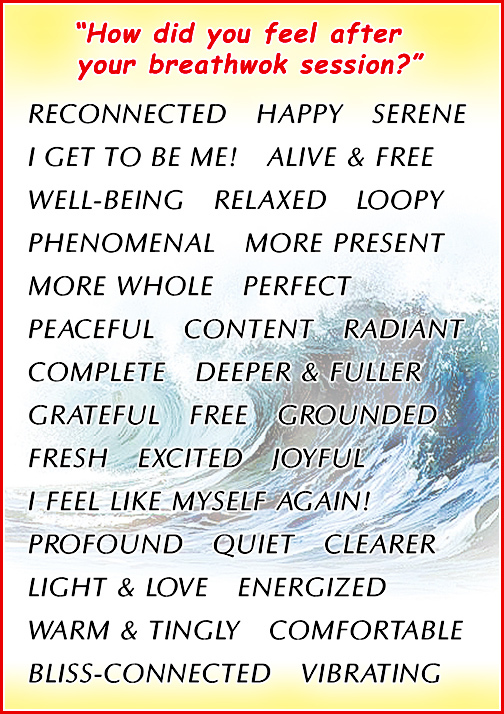 I have now attended twelve seminars, and am very proud to be a breathwork facilitator. P.S. Blood Test. Last year, before I began breathwork, I was advised by my physician to get a blood test as part of my annual check up. I was surprised to see that my blood cells were not round. The test also revealed that they were clustered together and misshapen. I was advised that this causes a reduction in the ability of the circulatory system to do its job of delivering oxygen and nutrients to the body while removing waste products. This condition had an effect on my liver, kidney, brain and heart function. Healthy blood cells are supposed to float free within the system and are almost perfectly round. The doctor advised me to modify my diet to reduce sugar and fats, to exercise and most importantly, to improve my breathing patterns to facilitate the reduction of stress and increased my level of oxygen intake. About ten months later, after five breathwork seminars and plenty of breathwork on my own, I returned for another blood test and was gratified to see that my sickly-looking large blood-cell clusters were all but gone. The blood was rich with oxygen. Other tests showed that my organ function was within a normal range. I did make small changes in my diet and I do some light exercises, but doing the breathwork regularly is what brought my cells back to life. Visit Dustine site: http://vam.abmp.com. I’ve been told over the years that I was a shallow breather, but I was never instructed on how to change my breathing. My history of work in the medical community gave me the knowledge of how important oxygen is, but I figured—I was breathing so what was the problem? I was invited by a friend to attend a breathwork seminar and I went out of curiosity. I have attended several of them now and each one has brought me to a different and higher level of awareness and healing. One of these sessions stands out for me. We are asked to scan our bodies and to select areas that we wanted to focus the healing breath on. I had suffered a severe injury to my right ankle over a year previously and I was still experiencing discomfort. As I lay down to begin the breathing, I concentrated on the rhythm and depth of my breath. As time passed, my body began to tingle and then vibrate all the way down to my toes. Also it was during this time my ankle began to stiffen and became quite painful. At first I thought, “What is this? It hurts!” But then I remembered the instruction that, as our cells release the memory of a trauma, we may re-experience the original pain, so I kept my focus on my breathing. Slowly the pain subsided but my ankle still felt stiff. I began to move it in a slow rotation. I felt it cracking repeatedly! It sounded like popcorn on a stove! I soon recognized that my ankle was now moving with ease and without any pain at all. As I lay there contemplating with joy what had just happened, I realized that I had released my ankle’s injury from my cells and had breathed new life into it. It is now months later and the ankle is still pain-free. I continue to attend these seminars and do breathwork on my own. I’m always learning more about the benefits of proper rhythmic and full breathing. The Breath of Life is there for my joy and health! I am now happy to be learning how to share this gift with others. Better than Ten Therapy Sessions! I first decided to take a Breathwork Seminar because of problems I had with Chronic Fatigue Syndrome, since I thought that increased oxygen to the body would help relieve my symptoms. I was in for a surprise when I found that during the session, I was able to experience and release childhood wounds and specifically issues of abandonment. I had not come prepared with a box of tissues nor expected that my eye makeup would be all gone before the session was over! At the end I thought, “Wow! This was better than ten therapy sessions!” The next couple of sessions, in addition to increased oxygenation of the cells and body, which provided more clarity and greater well-being, I was able to release more past traumas. During my latest session, I was in for another surprise! At first, I started to fall asleep; but a facilitator came by to wake me up and told me that my drowsiness was due to toxins being released into my bloodstream. As I continued to breathe, the music that was played reminded me of my search for my “twin flame” (i.e., my perfect marriage made in heaven, that no man can put asunder, as described in the bible). I recalled the memories and emotions of loves found and lost in my life. I mourned these experiences and felt the emotion of separation from my twin flame. After feeling this, I came in touch with feelings of the pain of separation from God, my first love. After experiencing this loss, I moved into an unexpected, beautiful experience of my oneness with God! The closest I can come to describing this is as a feeling of total joy, love and peace. I have been on the spiritual path for many years and have had other spiritual experiences, but this transcendental bliss was very nurturing to my soul. I came to my first breathwork class with the naive intention of just healing my physical body, and realized I was healing my emotional body. Now, after this last session, I know this work actually heals all our bodies—the physical, emotional, mental, and etheric (or memory) bodies. Thus breathwork is a vehicle for personal transformation. It was very meaningful for me to discover the benefits of this work for myself. I have found breathwork to be one of those hidden gems—much more than meets the eye! I’ve been dealing with asthma since I was a child. I’ve carefully avoided foods and situations that I know will trigger an attack. After my first breathwork seminar, I learned how to move out of the sympathetic side of my autonomic nervous system (“fight or flight”) by controlling and directing my breath. Three days later, I was at a girlfriend’s birthday party. There was dairy, a lot of cat hair, and smoking—three big asthma triggers for me. As I left, I felt a strong asthma attach coming on. During my drive home, I did the diaphragmatic breathing, and slowed down on my exhale. I was able to quiet my body and avert the asthma attach within one half-hour, where it would usually take me 4 to 5 hours of struggle, plus using the inhaler, or drugs. My husband, David, attended the breathwork with me. He has a problem with arterial fibrillation, where the valve between the upper and lower chambers of the heart will get stuck open, causing blood to drip back down, so the heart is unable to pump the blood properly. This causes light-headedness, nausea and a racing heart. He becomes extremely weak, and needs to get down on the ground with his head between his knees. On the next day at a job site, he felt his heart racing again. He dropped his toolbelt and got down on his knees. He used a technique he learned at the seminar to calm his system and direct a slow exhale and energy to his heart area. Like asthma, the non-closing of this valve seems to get triggered by “fight-or-flight”. He is now able to bring this condition into balance and get the valve to close every time by controlling his breathe. He once went to the emergency room when this happened, and they told him there was nothing they could do for him except use the the electro-defibrillator to shock the valve into closing. We are glad we have a natural method, along with foot-zone balance and essential oils, to handle this. Cochise starts off his first discourse with the words, “Through the waters of your subconscious and into the conscious mind, you have come at this time.” The Medicine Way has always been steeped in symbols, dreams, and the mysteries of nature and the spirit world. Shamans talk about “soul retrieval,” finding and restoring vital energy lost due to a traumatic event. 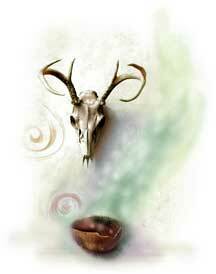 Cochise says in the text that breathwork may be combined with regression, even into past lives, and hypnosis. I do recommend that these practices be left to trained professionals. I do feel one should not go looking out of mere curiosity into areas of the mind that are locked away for a good reason. And I would also think twice about letting another person put suggestions into my subconscious mind. Yet sometimes a revelation comes out of the past for the purpose of healing. This is one such story of a young sailor who served with me in the late ’70s on the USS Sperry at the Point Loma submarine base in San Diego. Andrew was in his early twenties and a typical sailor except for his ornery nature. He bucked authority and seemed to go around with a certain peevishness all the time. I thought I might be able to help him. I knew Andrew had Native American blood in him, and as I had an audiotape of Cochise guiding a meditation for finding one’s unique spirit animal, I invited Andrew to do the meditation. He agreed. To take Andrew into a receptive state, Cochise used some rhythmic breathing and a classic hypnosis countdown. But before Andrew could get into discovering his spirit animal, he was off into his own world, where dramatic events were taking place. He was totally involved, as if watching a vivid movie, and it was a bit hard to draw the details out of him, but he was apparently seeing a past life as a young Indian brave, probably about his same age. He was in the wilds somewhere out West, and two older white men were harassing him. They had cornered him and his horse along the edge of a cliff. There was some jostling. Suddenly, out of pure spite and cruelty, they pushed his horse over the cliff to its death. Then they rode away, stranding him to walk back to his camp alone. It was apparent from Andrew’s stunned reaction what pain this caused him, and how much he had loved his horse. Reliving all this now, he was in tears. I managed to suggest, “See your horse in the sky now, running free in the clouds.” Apparently this helped, because he asked, “Can I ride him?” He saw himself riding his beloved friend once again. The scene shifted and now he was in the woods, spying on the campfire circle of a neighboring tribe. He spotted for the first time a young Indian maiden, the daughter of the chief, the most beautiful creature he had ever seen. He was experiencing his first flush of young love. That was about it. We went to bed in our berths below decks. The next morning, Andrew told me he had dreamt the rest of the story. He had gone on to marry that young maiden and had become chief of his tribe. He never forgave the white men for their cruelty, and he carried hatred for all white men to the end of that life. And apparently into this life, until the memory could be brought back for understanding and resolving. About six months later, I picked Andrew up hitchhiking on Point Loma. He was wearing a brightly colored polyester shirt—this was the ’70s, after all! He had found a girlfriend and life was going well for him. Who Is That? Is That You? When people see a picture of me taken two or more years ago, they often ask me, “Who is that? Is that you?” They wonder, “What have you been doing?” Occasionally I get, “Do I know you?” from people who haven’t seen me in a while. When they recognize my voice again, I hear, “Joan? Is that you?” About two years ago, I set myself on a path of self-healing. Breathwork has been a major contributor to my health and happiness. It has literally breathed new life and a new outlook into me and added new dimension to what I understood as wholeness. I was born into a family where a healthy lifestyle was encouraged, mainly by my U.S. Army father. My father was the son of Hungarian immigrants, and as a boy he had suffered with bouts of pneumonia and was sickly. As an adult, he determined to do all he could to stay healthy. Unfortunately, he died at the age of 63 after succumbing to injuries from Vietnam, injuries that would likely have killed him sooner than the eight years he lived after the war had it not been for his healthy lifestyle. In my own search for healing, I came to appreciate his adherence to natural methods only after an arduous detour through the medical system. At least I learned firsthand what worked for me and what definitely did not. Because of my father, I was always open to trying what was simple, meaningful and practical. If he were alive today, he would be right here with me enjoying breathwork. Was there to be only one way for me to attain greater health? Not hardly! My pursuit of wellness has been multifaceted, and I’ve always stayed open to what presents itself. I too had childhood pneumonia, and somewhere in our travels abroad I was exposed to tuberculosis. I further injured my lungs in a chlorine gas inhalation accident in my high-school chemistry lab. On several occasions, for various reasons, I climbed on the pharmaceutical merry-go-round. One reason was my intense fight with asthma beginning at age 33. This five-year battle for breath included pneumonia three times and bronchitis almost constantly! During the fifth year, there was only one month when I was not on antibiotics, steroids, or other drugs. It was becoming clear to me that relying on drugs was a big mistake. At my doctor’s suggestion, I began taking weekly allergy shots and did so for the next five years. I endured that ordeal until the needles could no longer penetrate the tissues in my arms. Did those shots improve my lung capacity to a point of sustainable wellness? No, they did not. I did stop coughing, and that was a relief, but I would not fully understand how much healthier my life could be until I determined there would be no more medications and no more shots! Always present was the lingering worry that my lungs would not be capable of sustaining health, so how could I change that? My move to Montana helped immeasurably, as this finally put me in touch with alternative healing choices I could embrace. I discovered breathwork on the chance recommendation of my dance instructor. She had attended a breathwork seminar led by Denis, and had found it instructive and helpful. Knowing my lungs were in need of any help they could get, I thought this might be a useful drugless tool. What could be more basic than breathing—the pure and simple technique of bringing oxygen into your body and detoxing it through the exhale! After all I had been through, could it really be this simple? I only had to let go and trust my body’s ability to heal itself. I listened to and observed how my body was working and allowed myself to breathe in new life within the caring and competent atmosphere created at these seminars. Each session was different and offered me a new experience of self-discovery. My first session was sheer bliss as fresh oxygen circulated throughout my blood. As I sat up after that first time, you couldn’t have wiped the smile off my face if you tried! During my fourth session, I felt the release of physical cellular memories from old injuries to my neck, knee, and ankle all at once. I had the feeling that I was being yanked by the head* and also by the leg and foot. It was breath-stoppingly painful for a few moments, but I just kept on breathing! It was as though the breathing allowed me to relive and then let go of that hurt. My ninth session left me awash with a sense of personal wonder and renewal. My regular use of breathwork has brought my lungs to their full capacity. I have continued to study Integral Breathwork and now assist at the seminars. My experiences are a rare and wonderful gift. In one session, I assisted a woman who, even though she was sitting up, held her head down and did not appear to be breathing. I knelt behind her and asked her to lean onto me. I spoke quietly to her to take in my breath. For a few minutes, I had the sensation that my breath was somehow entering her body. It felt as though I was literally breathing for both of us. Slowly she began to breathe with me on her own and eventually relaxed into her own rhythm. Later she told me, “You gave me a reason to live.” A powerful statement from someone you thought you were just helping with breathwork! I am grateful for how I have changed and how I’ll keep on changing. I understand more deeply who I am and my purpose in life. My practice is in psycho-structural balancing, neuromuscular therapy, and other modalities. I encourage my clients to incorporate breathwork to achieve body-mind wholeness. To say it all in one sentence, breathe and be well! *A physical sensation often associated with the release of a birth trauma. I have done two breathwork seminars. The workshops are really great, but my first one was incredible. When we got to the breathing part of the session, I experienced something I did not expect. As I got more into the breathing, I really felt like I started to soar up and out of my body. I could actually look down on my body laying there breathing. Then, somewhere in this, I started seeing people who had died in car accidents whose lives I had attempted to save in my work as a firefighter and EMT. It was not a bad thing; it was like they where telling me they were OK and that I did my best to save them. I have struggled with this and have experienced post traumatic stress syndrome because of it. After seeing their faces and hearing they were OK, it was easier for me to go back out on calls. During that same session, I had contact with two friends of mine who had died of cancer. They also let me know they were OK. It was really incredible. I’ve never experienced anything quite like this before, and I am grateful that I did. I also learned how to help people use their breathing to get through the trauma of a car accident or injury. Thanks! When I read the manuscript for Part Two of this book, I couldn’t put it down. Finally, I was reading about my cherished dream of rebuilding the healing temples I remembered in my soul from ancient times. For more than two decades, I have studied how touch influences the energy of the cells in the body. In equine massage, I discovered that horses can’t learn if they are in pain. Working an area of pain in a clockwise direction activates father energy, which strengthens the area. Working in a counter-clockwise direction activates mother energy to draw out pain and toxins while nurturing and supporting. This was my first awareness of energy healing. Years later I went to China to learn Qigong, the study of raising energies from the earth (mother) and pulling them from the sky (father) to direct them into every cell of the body. Qigong balances these yin-yang energies. Recently, I have been trained in Foot Zone Balance. By using these same clockwise and counter-clockwise movements, a “footzonologist” can activate the DNA within each cell. By regular zoning of the feet, and through breathwork and other natural therapies, you can transform yourself by reconnecting with your original blueprint stored within the cellular DNA. In the past, I worked with other groups of healers who used the breath to reach levels of meditation that were instructive, clearing, and healing, but the Integral Breathwork system is the most effective I have experienced. During one of my breathwork sessions, my goal was to heal an old break in my hip. As I began to breathe, a strong vibration moved up my body to the hip area, and I felt all my bones were vibrating at a very high rate. As I continued to breathe, my hips released. I allowed my knees to open and placed the bottoms of my feet together. There was a shift in the hip joint and an intense vibration in the area of the break. 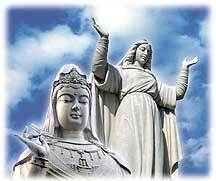 I prayed to Mother Mary and Kuan Yin for compassion. Within seconds, two facilitators took my hands and sent so much love to my heart that I couldn’t hold it. I wept with gratitude. My inner voice told me that I am perfect and that God wishes me to see only my perfection. This last session was the most gentle I have had so far. The goal-setting process was somewhat emotional for me, but then the breathing itself was fairly effortless and gentle. I usually work as though I not only have to get up the hill but I have to be the first one to the top! I didn’t have to achieve that intense vibration that I usually strive for. Mother Mary and Kuan Yin were holding me in a great white aura. A very gentle vibration started at my feet and slowly moved up to the heart chakra, then continued up the spine to the cranium. There seemed to be a stuck place there. A facilitator placed his fingers on the occipital bones and said, “Give this to me.” I panicked for a second and then released my shoulders. The vibration moved over the top of my head and flowed into my heart chakra. I felt restored and balanced. Shafts of white and gold energy emanated from my hands to the other participants. I felt a comforting energy reach someone who was crying across the room. Earlier, during the goal setting, I had stated, “I’m terrified of losing my dad!” Since my mother’s passing in December, I panic whenever my dad says he isn’t feeling well or when he’s feeling lonely. As I lay there continuing to breathe, I heard the sound of a powerful vibration enveloping me. I watched as my winged pegasus scooped me up and we flew into the universe. I found myself at the throne of my heavenly Father. He took me into his loving arms and assured me that I would never lose Him, that He loved me and accepted me to Himself. I wondered at the meaning of this word. I repeated it several times as I came back into my body and the vibrations subsided. I was complete. Communion with the Father had healed my worries for my earthly father. I am grateful to my dearest healing friends for these experiences. I love breathwork. It has its own innate intelligence that can do deep healing and release work exactly where you need it. I feel that setting your intentions before your session is very important. I knew I had been sexually molested as a very young child, at about age two, and I went into my first breathwork with the intention of healing this in myself. It was work for me at first to keep the pace, to ride the breathwork bicycle uphill, but I did. Then I was gone to this world. I regressed to being a tiny toddler dealing with various emotions of abuse, mostly sadness. I was able to forgive my molesters. Then that episode seemed to be gone and my body tension and breathing relaxed for a little while. Four months later, when the breathworkers came to town again, my intention was to understand why I am such a hoarder and why I have trouble believing in abundance. It seems that I believe I never have enough. My session was full of very deep sadness and crying. Again I was gone from this world and I regressed into being a German Jewish woman in my thirties. My Jewish husband and I and our two daughters, ages nine and eleven, were locked away in a small German concentration camp where we were separated. I was put in with other women. 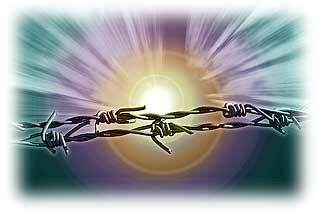 We lived in outdoor cages made of barbed wire. We were starving. The young German guards, mostly in their early twenties, looked horrified. If they went against regulations, they would also have been killed. Once in a while, they tried to sneak us extra food. I felt they could be my sons. I did not feel like a victim or that they were my predators. I felt we were all in this tragedy together, playing different roles—we had a oneness with each other. However, I still had to forgive the Nazi political machine and all of those involved in it. Before I died of starvation, I felt that if we had lived far away in the country with lots of stored food and supplies, we wouldn’t have been found by the Nazis and taken to this concentration camp to die. Now, in this lifetime, with my husband and my two daughters, I live in the country away from view, with lots of stored food, blankets, warm clothes, books, and games. Unconsciously holding on to the fear of starvation from that life, I felt a need to protect myself and my loved ones in this life. The breathwork has taught me that the best thing to do with past fear is to let it go and to forgive. I feel less fearful now, and happier. I no longer feel the old urge to hoard food for later. I feel I can accept my abundance more serenely. The word government also seems easier to say without so many negative connotations. I am grateful and thankful for this breathwork. I love how it seems to know exactly what to do to release the past and make my life more whole and joyful. I feel that I am no longer living my life as just a reaction to the past, but am able to live more in the moment. I am most grateful to the breathwork facilitators. I know that I could not do this work without their completely loving support and assistance. They are like angels to me. I also appreciate the understanding of good physical breathing they taught me. Now, many times throughout the day, I remember to breathe deeply into my tummy. This seems to melt small stresses away. I was also grateful for the abundant fruit feast we shared at the end of the seminar that seemed to appear out of nowhere. It felt like I was in heaven already.